THE Tech Scoop is honored to announce the inclusion of textPlus within our DBA Program. 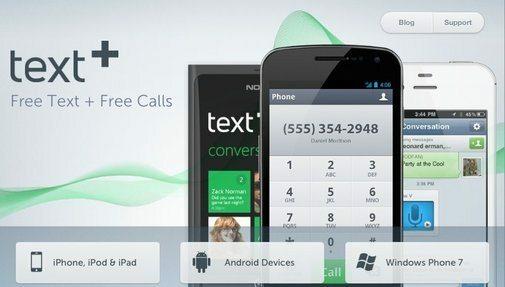 textPlus is a leading provider of free mobile communications. Ranked as the #36 all-time free app in the iTunes App Store and top 10 Social app in the Android Market, textPlus provides free texting worldwide and free/low cost calls in the US and Canada. Additionally, users can search, make new friends and chat about any topic or interest in Communities. textPlus is currently available on iPhone, iPod touch, iPad and Android phones and tablets. For more information, visit: www.textPlus.com. Give you the choice and freedom to communicate how you want to, when you want to– providing free texting worldwide and free/low cost calls in the US and Canada. We believe that everyone should have the freedom to choose how they stay in touch with others. We want to reinvent how you communicate/how connections are made. WHERE Can We Find/Reach You? Thank you heathermeeker for submitting textPlus to our DBA Program.I’ve, personally been using the app for a few years and am very happy with the platform. That being said, let us know when you have new product announcements so we can help spread the good word!